This is a recipe I’ve made a couple of times now, and it’s beyond amazing. I’m a huge fan of peanut butter and chocolate together (Hello! American here! Reese’s Peanut Butter cups are still one of my favourites!) 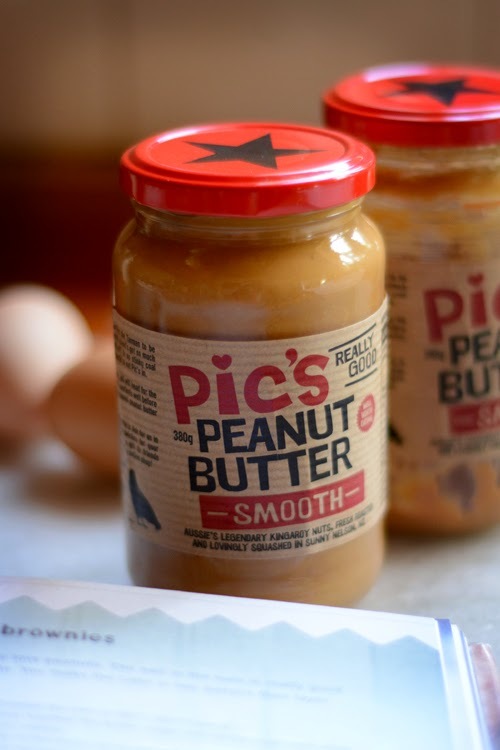 So, here is our Pic’s Peanut Butter Cook & Craft Challenge recipe!! Pic’s, our favourite PB here. It’s “REALLY GOOD“, but no, seriously, it is. 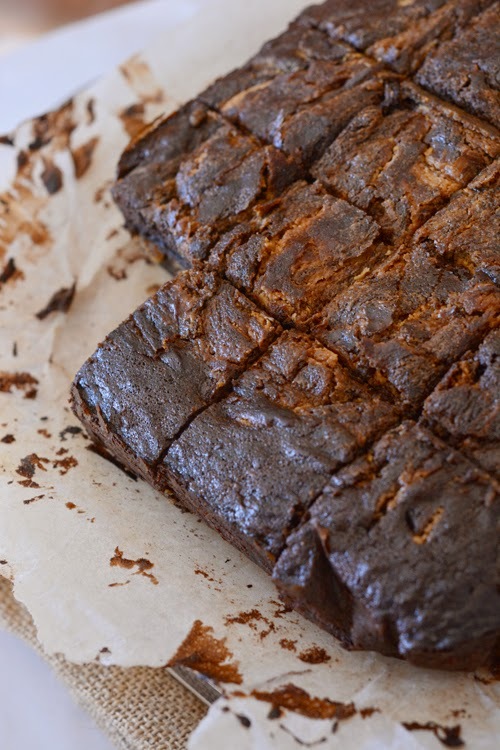 This is an adapted recipe I originally found in One More Slice: Sourdough bread, pizza, pasta and sweet pastries an amazing book with so many heart-stopping sweet recipes! But here is my tweaked version. 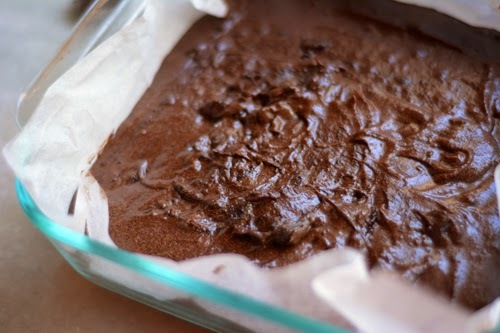 Spread the brownie mixture in the parchment lined tin and put aside. 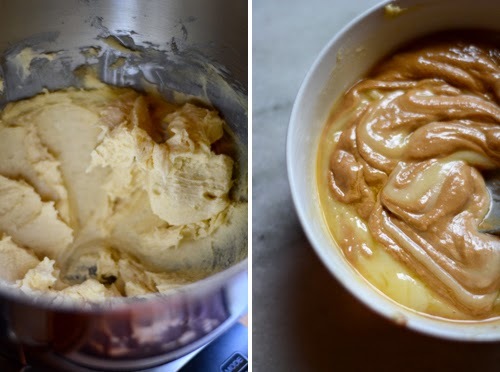 For the peanut butter cream, melt the butter in beat in the icing sugar, peanut butter, salt, and vanilla. 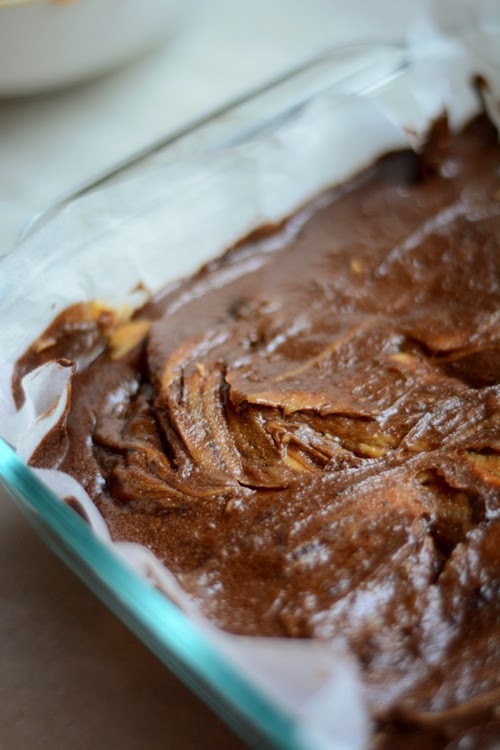 By the time you finish this, it will have cooled enough to spoon or drizzle the peanut butter cream on top of the chocolate mixture. 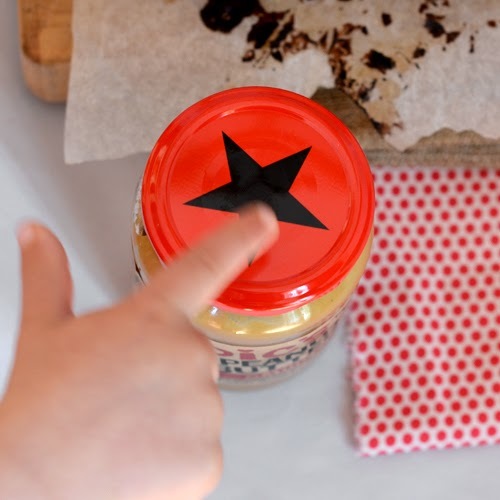 Using a knife, make swirls in the tin to make the marbled effect. 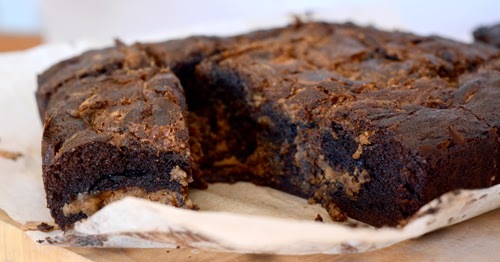 The perfect crisp brownie top… and a missing piece! Ooops! Pop it in the middle of the oven for 30-40 minutes until the sides are firm and middle is set. 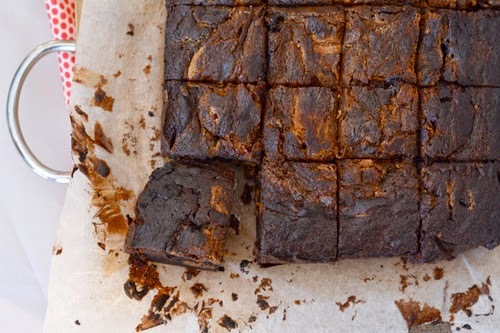 Let it cool and cut into squares. Devour. Preheat oven to 180C (350F) and line a 20x20cm baking tray with parchment paper. Beat together the butter, sugar and vanilla until it’s light and creamy. Mix in the cocoa, salt, and syrup. Add the eggs, one at a time, adding the flour last. 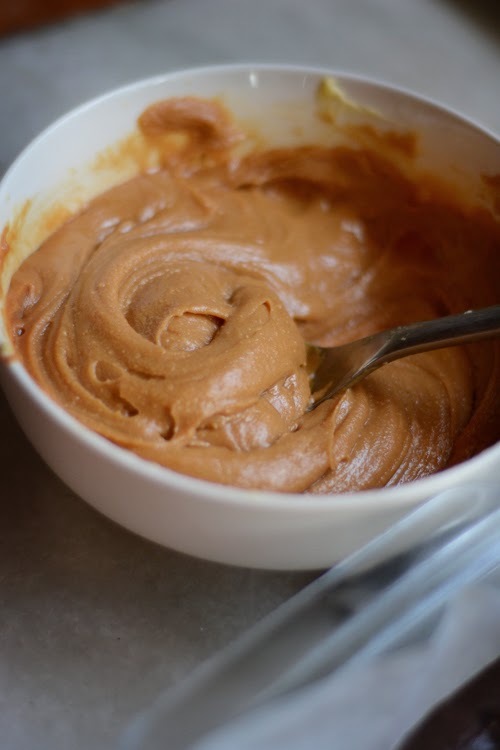 For the peanut butter cream, melt the butter and whisk in the icing sugar, peanut butter, salt, and vanilla. By the time you finish this, the peanut butter cream will have cooled enough to spoon or drizzle on top of the chocolate mixture. Using a knife, make swirls in the tin to make the marbled effect. Let it cool and cut into squares. Pingback: More Pic’s Peanut Butter Yummies! | Hello van Hulst!